There is nothing better than heading home after a busy day and climbing into the bath with a face mask. I have recently found my favourite mask, to sink into the bubbles with. 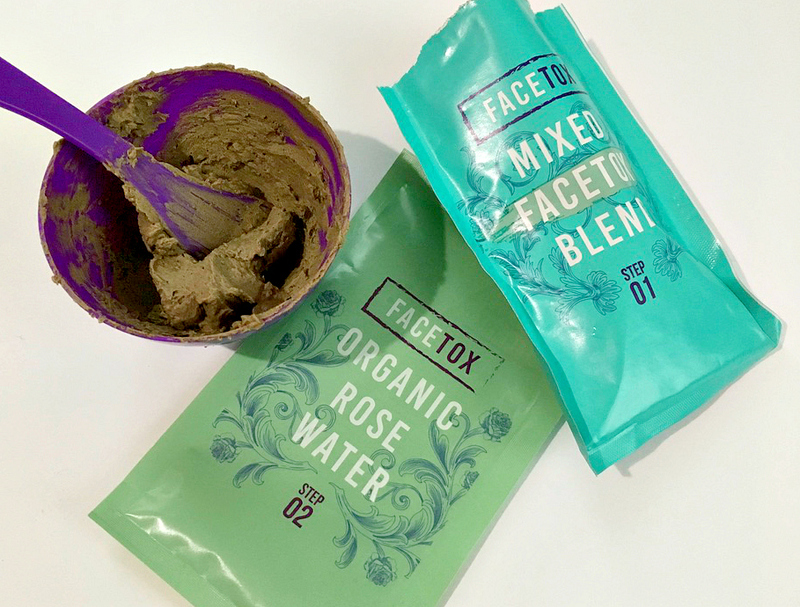 The Facetox Clay Masks! I have finally felt like my acne has been under control recently and have only been suffering from the odd breakout here and there. I am not saying that it has improved because of using these face masks, but I am saying they have defiantly helped to balance my skin out. 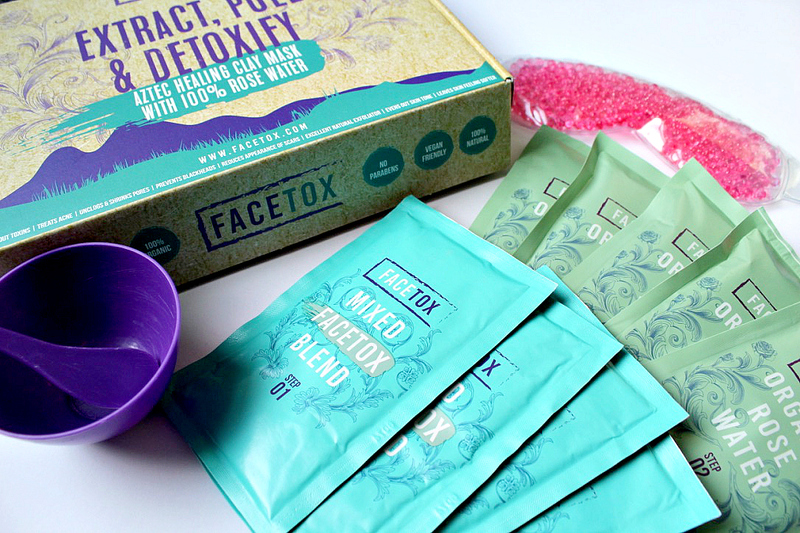 Facetox is an organic, vegan face mask which draws out blackheads and helps to detoxify the skin. 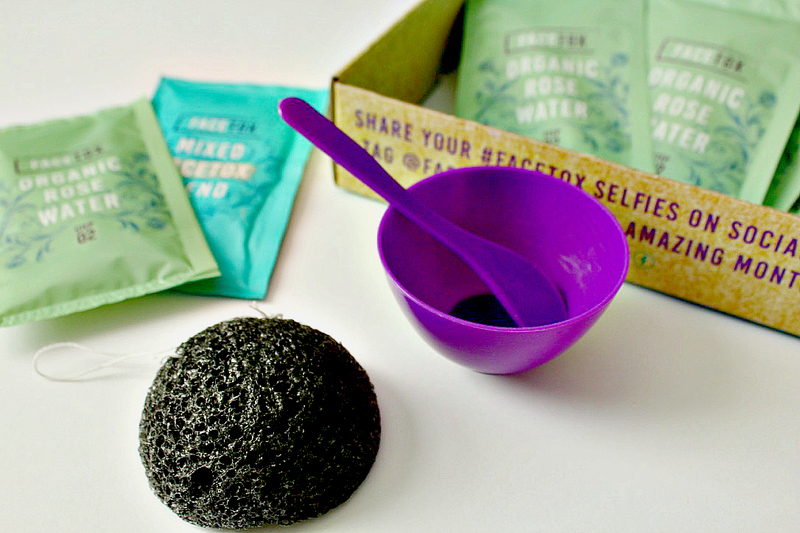 The mask comes in two sachets one contains rose water and the other contains a clay blend. Once blended together these cause a negative charge which helps to pull out the toxins. I was super excited to try these out as I had heard a lot about them from other bloggers. When I first mixed it together it looked so thick, I am glad they supply you with an applicator to apply it as you would end up in a hell of a mess without it. My only advice is to apply before getting into the bath and remove while you're in the bath because it gets everywhere otherwise, and is hard work to get off. 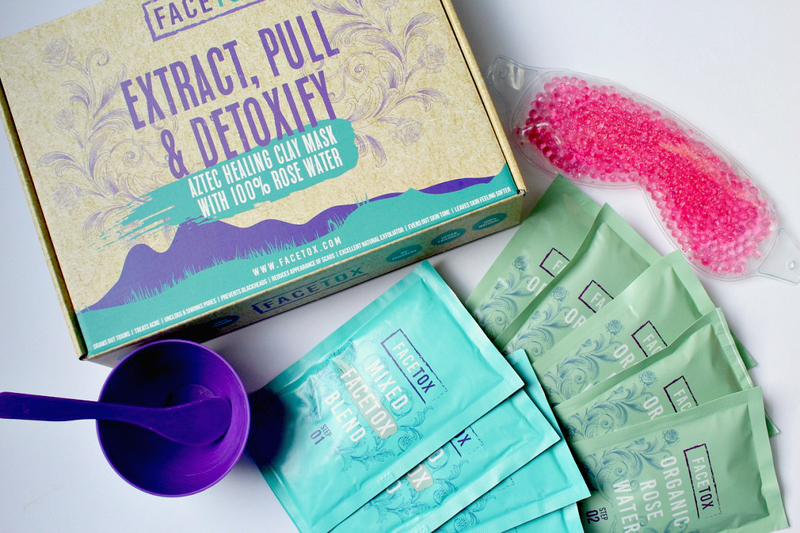 Facetox is really generous with the amount of product you get in a sachet, which is great as you can also use it on your body, or even share it with your partner or a friend on a girls night in! 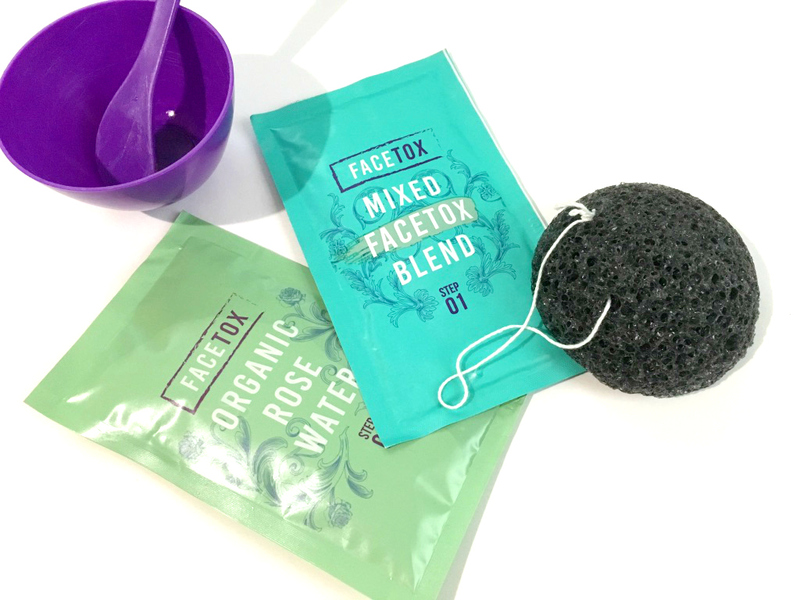 I was also lucky enough to receive a pack of their Facetox Charcoal Konjac Sponges, for cleansing oily spot prone skin. They are also great for helping to remove the mask. The sponge is really hard but once wet becomes soft and helps to absorb the toxins and excess oils to help fight off bacteria. I couldn't recommend these enough especially for acne prone skin, but they also do a sponge for normal skin too. 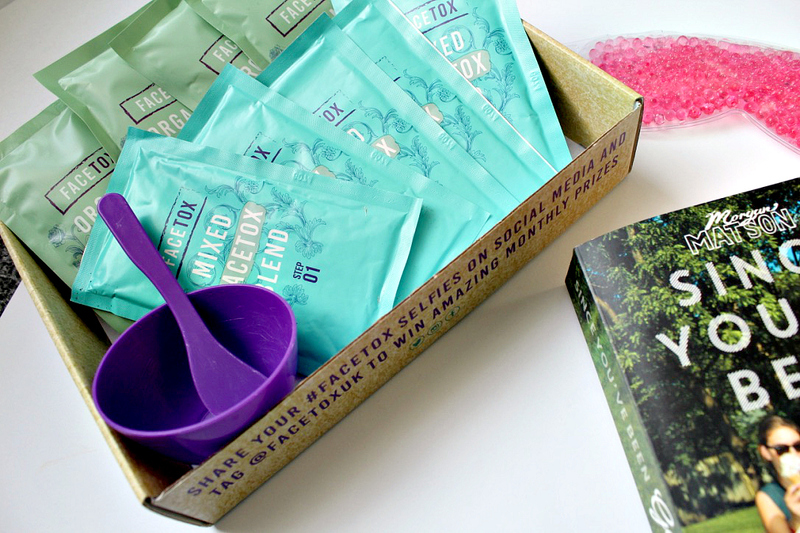 You can buy Facetox Clay Masks online, in packs of 7, 14, & 21. 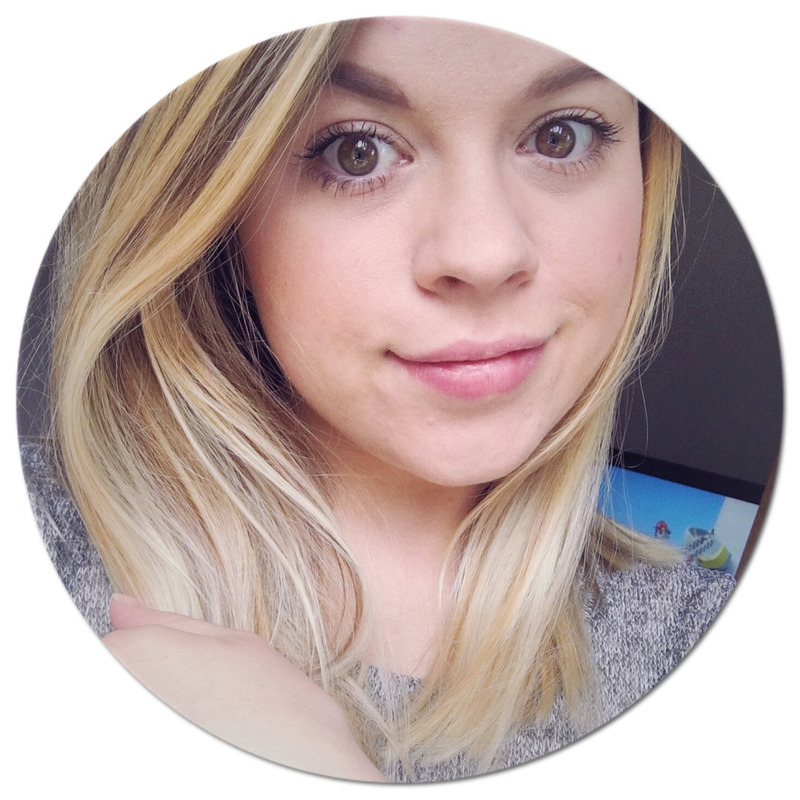 I really have enjoyed using the masks as my skin is always left feeling fresh and smooth the next morning. Facetox has also just teamed up with Holland & Barretts so you can purchase the Facetox Clay Masks in their stores as well.